Over 200 blues songs from the 1920s to the present are included in this deluxe edition. Many artists representing a wide variety of styles are featured; in addition, rare photographs are included. This disk / book set reads like a Who�s Who of the Blues. Included are songs written and / or recorded by: Big Bill Broonzy � Robert Cray � Arthur Crudup � Willie Dixon � Champion Jack Dupree � Blind Boy Fuller � Buddy Guy � Billie Holiday � Lightning Hopkins � Mississippi John Hurt � Elmore James � Blind Lemon Jefferson � Robert Johnson � Albert King � B.B. King � Leadbelly � Ma Rainey � Tampa Red � Jimmy Reed � Memphis Slim � Bessie Smith � Otis Spann � T. Bone Walker � Muddy Waters � Johnny �Guitar� Watson � Howlin� Wolf � and many more. "The Blues Fakebook is a collection of tunes and rare photographs that are culled from 85 years of performances representing many styles and composers. These songs illustrate the wide spectrum of sounds that make up an undefinable, yet recognizable music. The blues artists' music and repertoire are an inseparable and fundamental part of jazz, rock, folk, and pop music. It is these broad ranging influences that I tried to highlight in selecting the contents." 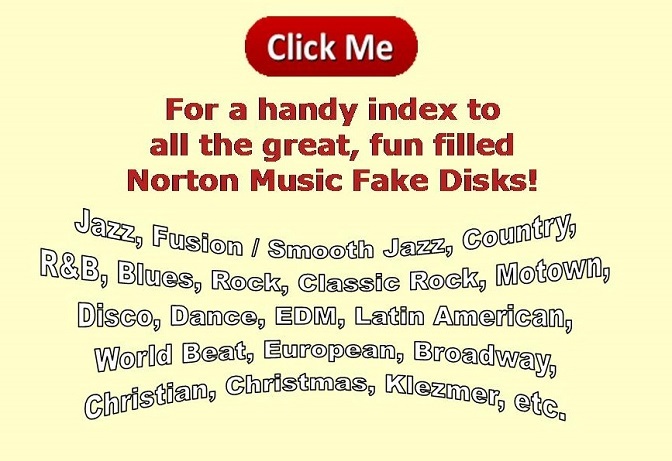 - Woody Mann - author of "The Blues Fakebook"
This Fake Disk contains all of the chord progressions in the book. I entered the chords as close as I could to the way they appear in the book. You can load the disk, open the book, and just play or sing along. If you love the blues, you will love this book / disk set. There are no melodies or words on the disk, only chord progressions � and since �the blues is the blues� � I highly recommend purchasing the book and disk together in the combo pack. I think the value of the disk is only realized when you also have the book with the lyrics and the melodies. Due to the fact that "the blues is the blues", I strongly suggest that you purchase the book too (below).